This entry was posted on Sunday, June 8th, 2008 at 9:39 pm	and is filed under Asian, Asian Flavors, Main Dishes. You can follow any responses to this entry through the RSS 2.0 feed. You can leave a response, or trackback from your own site. OMG this is totally my kind of dish. 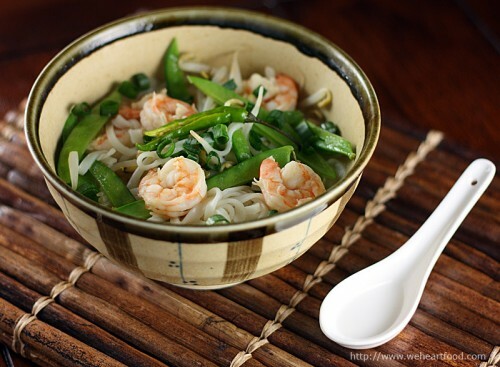 Noodles in broth with snow peas and sriracha? Sluuuurrrp! Beautiful photo, too.